Little is known about the French artist who calls himself Invader, except that he’s been invading spaces for 15 years. He leaves behind figures and images made from tiles and concrete, each reinterpreting Atari’s iconic 1980s video game. 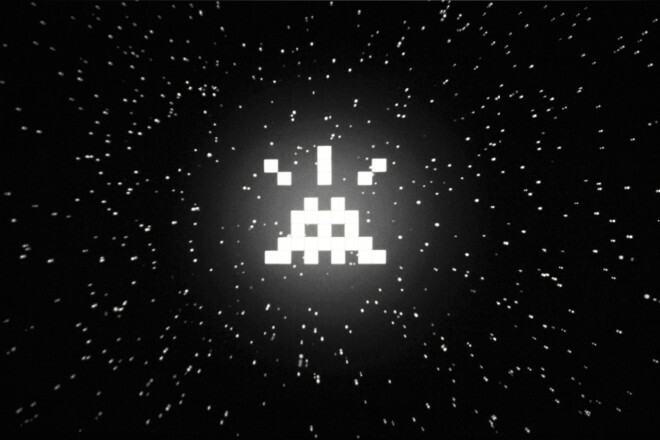 The signature creations began as an experiment, and then took on a life of their own after the artist noted the similarities between his mosaic-like works and the pixelated aliens in the video game that went on to inspire his moniker. Since then, Invader has literally been invading spaces worldwide, culminating with the installation of his 1000th character in his hometown of Paris in 2011. Invader has invaded about 60 cities so far. It was only a matter of time, one could suppose, before Invader would invade, well, space. We sat down with the anonymous artist after the film was screened in Brussels to discuss everything from his first installation to his out-of-the-world ambitions.